This template has been modified from beez_20 template for VirtueMart shopping cart. We have added the module position to display dropdown menu, top banner, related articles,... and fix some bugs. You can install this template in the template manager or installing new Joomla! website by using our quickstart package. This template is suitable for sites about online shopping or introducing products. This template has been designed for Joomla! 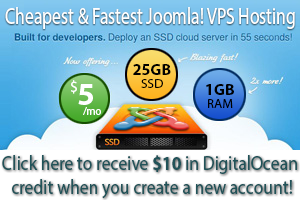 1.5 and VirtueMart 1.1.x with online shopping cart and discounted products functionality. This template is nice, simple, lightweight and suitable for the sites that sell discounted products. This template has been modified from beez_20 template. We have added the module position to display Tab menu on top, related articles,... and fix some bugs. You can install this template in the template manager or installing new joomla! website by using our quickstart package. This template has been modified from beez_20 template. We have added the module position to display dropdown menu, top banner, related articles,... and fix some bugs. You can install this template in the template manager or installing new joomla! website by using our quickstart package. This template has been modified from beez_20 template. We have added the module position to display language switcher, related articles,... and fix some bugs. You can install this template in the template manager or installing new joomla! website by using our quickstart package.